The Bunnahabhain distillery on Islay is located on the north of the island, with Caol Ila as its only neighbour. 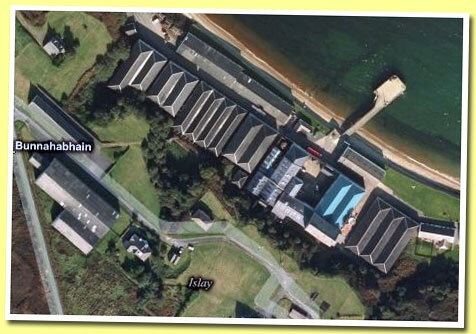 Situated on the coast of the Sound of Islay, it's protected from the fierce winds blowing in from the Atlantic ocean. Maybe this is reflected in the upeated style of the 'Bunny'. It's the only unpeated Islay malt whisky (Bruichladdich is lightly peated).... More on Malt Madness. Coopers Choice - Vintage Malt Whisky Co.